Why not grow your own veg this year? There’s nothing kids love more than getting their hands dirty so make the most of your outdoor learning environment and create a children’s vegetable garden that can be enjoyed by all ages. 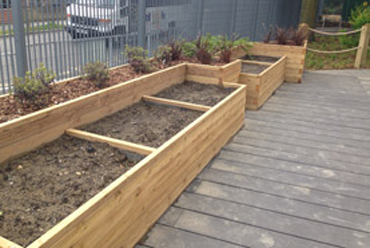 Our purpose-built wooden planters for schools make it easy for you to get a head start in harvesting your first crop. 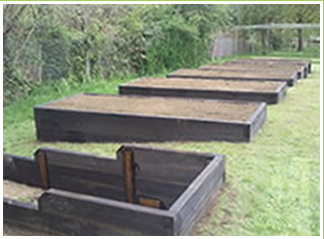 Each of our raised vegetable beds are hand-built in our workshop in the UK and are supplied with soil and seeds. 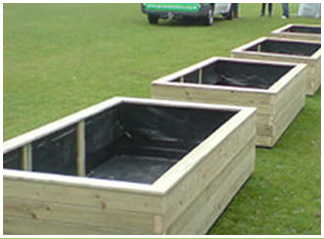 We personally despatch our school planters directly to you to ensure that they are delivered safely and are installed correctly. Enquire today! 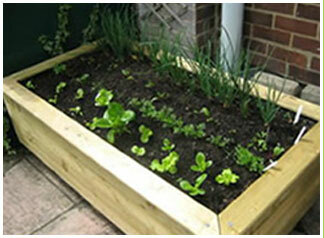 The sleeper vegetable patch is made from high quality pressure treated sleepers. These can be built on uneven ground as shown on the picture on the left. For more details on this planter please call on the number below. 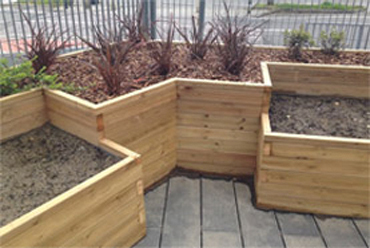 We've worked with schools and councils throughout the UK to provide garden boxes that are accessible to everyone. 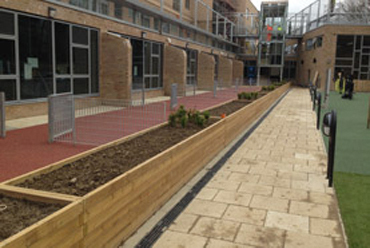 Take a look at some of our projects below.